This article is a summary of a presentation given at Texas Focus 2003, and aims to examine the status and role of braille writing in early education within the USA. I like to start my presentations with a world map, as it is something familiar and comfortable to most people. Until that is, the true representation of the world is shown, with Australia on top! It’s always surprising to find how such a simple change in perspective can challenge people’s deep-seated view of the world! And so it is with braille writing. We have become so comfortable and familiar with traditional ideas about braille writing that it has tended to be overlooked in the braille literacy revival taking place today. I believe we need to change our perspective on braille writing to ensure that it not only remains a vital part of the literacy experience, but is encouraged and facilitated to evolve and meet the needs of students in coming generations. As a general description, writing consists of both the process of writing, with the development of all the abstract concepts that entails, as well as the physical act of writing. These two aspects are closely inter-related and are common to all children irrespective of their level of vision. What distinguishes blind or vision impaired (VI) children is that they must always use some sort of tool for the physical act of writing. For a VI child, braille writing tools play a pivotal role in their early literacy experiences, especially when you consider that a sighted child often first begins to write using finger painting, drawing in the sand or on a frosted car window, well before formal education has begun. A review of the history of braille writing tools reveals a lot about our current attitudes to braille writing. Space limitations do not allow any thorough examination in this article, however, there are some excellent resources available on the web. In particular, the Callahan Museum at the American Printing House for the Blind (APH) has a wonderful collection, details of which can be found at http://www.aph.org/braillewriters/index.html. It often surprises people to see how much innovative thought and effort went into braille writing last century. At the beginning of the twentieth century for example, technology for tactual writing was arguably more advanced than the equivalent writing technology for sighted people (see the The Kleidograph 1894 at right). So how far have we come in the last 100 years? In the US today, the two most prevalent braille writing tools given to beginning braille learners are the slate and stylus and the Perkins Brailler. It was Louis Braille who not only gave us the braille code, but also the means with which to write it, the slate and stylus. He did this in 1829. The Perkins Brailler was developed at the end of World War 2, making it over 50 years old. Would we accept today 2 writing tools of a similar vintage as the only options available to sighted children for early literacy? The reality is that sighted children have an extraordinary and growing choice of writing options (just look in any drug store, Wal-Mart or KMart) yet we accept a lack of innovation and choice as the norm for a VI child. When we consider the innovation and changes that have taken place in society generally (think computers, telecommunications, transportation etc) it begs the question as to why the innovation process has stopped so dramatically for braille writing. It’s not because of a lack of importance; we all recognise writing as fundamental to the literacy experience. It’s also not due to having something to replace braille with; we learnt that the hard way when synthetic speech was considered an alternative. We now have electronic braille writers such as the Mountbatten Brailler and braille note-takers with refreshable braille such as the BrailleNote and Braille Lite, but the numbers of these being used as a first braille writing tool are still negligible. So what have really been the barriers to innovation in braille writing? The first I believe is attitudinal. Teachers of VI children have correctly been taught that the process of writing is what’s important, and it doesn’t matter which writing tool is being used. But when this is combined with the prevailing ‘attitude of scarcity’ where VI teachers are “grateful for what we have” and are not demanding what is best, (thereby driving innovation through consumer demand), stagnation has resulted. Secondly, VI teachers are a small, geographically isolated community, and it is often hard to know what is happening in the next state, let alone in other countries around the world. Best practice is being defined within a personnel preparation system that is chronically under-funded and simply not able to afford the best technology available. In 2001 a survey of 600 VI teachers in the US revealed that only 5% of respondents were made aware of alternatives to the Perkins Brailler as part of their teacher preparation program. In addition, a lack of funding for professional development compounds the problem. As new technology options arise, it is often left to VI teachers to train themselves on how to use them and to understand where and why a new technology should be used. A current example of this is the confusion and lack of research data on the role of braille writing versus braille note-taking. And thirdly, people need to recognize what the real cost is of so-called “free” technology. The Federal Quota system has been a source of materials and products which have made a tremendous difference to millions of young blind Americans. However, when it comes to braille writing technology, it has had a profoundly negative effect. There are simply many new braille writing options available in other countries that never get sold in the US because they cannot compete with the “free” Perkins. Competition and innovation have effectively been stifled. We live in an age where technology is changing so many aspects of our lives, yet we are failing to question this stagnation in braille writing technology. There is an abundance of evidence that it has resulted in reduced choice of braille writing options, reduced educational opportunity for students, and worst of all, low expectations. How many sighted children would struggle with a 50 year old typewriter as their first writing tool? Now before I get accused of unfairly throwing 50 years of tradition to the wind, let me say that the Perkins is and will remain an important tool for braille writing. And students need to be taught the appropriate skills to use them. What I am questioning is why the Perkins is so often the only option available when choosing the first writing tool for a young child. We should be expecting to have 5 or 10 or more choices available, and to be able to select a tool that really meets the individual needs of each student. That will only happen when VI teachers, parents and students themselves become better consumers and demand better products and more choices. I am often asked to define what specific problems I see the Perkins as having, and the response usually includes the following 3 points. There is the whole question of ergonomics and hand and finger pressures required, and this has been acknowledged for some time now. 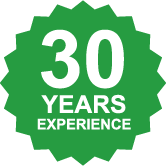 In some areas though, people still find it acceptable that the writing experience does not begin until sufficient physical strength is achieved, and this can often be at 6 or 7 years of age! There is also the fact that the Perkins does not provide independent learning opportunities, and in inclusive settings this is increasingly becoming a problem. However, possibly the biggest problem I have with the Perkins is the effect it has on other people’s attitude towards braille. It associates braille with the past, with something old and out-of-date. Students today need cool tools! Blind students are no different. However, as we said at the beginning of this article, braille writing is not just the tools. To illustrate some of the other challenges I have borrowed a quote from Frances Mary D’Andrea of AFB; “I think too often our classroom teachers view braille as some strange thing from Mars, and not just a reading and writing system”. Within general education there is a tendency for the classroom teacher to focus on a VI student’s differences and not those things that are the same, such as literacy instruction and the writing process. We need to take the mystery out of braille. There are also major changes in the skill requirements for our early learners involving not just computer skills, but different methods of information retrieval, and dealing with multi-format and multi-media information. Students need to learn these technology skills from an increasingly early age, integrated into their overall literacy experience and not separate from it. There is also an increased focus on experiential learning and we need tools and strategies that will enable that. For VI students that will mean having exposure and access to braille writing tools well before formal education has begun. For all these challenges, the VI community relies on professional research data to determine best practice and to evolve new strategies, ideas and curricula. However, a review of the professional literature suggests that braille reading has far and away been the focus of professional research, with braille writing relegated to a very minor position. This is also evident in the professional resources available to VI teachers. 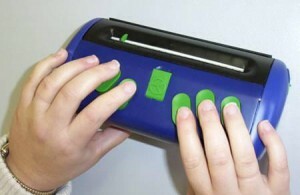 This lack of research based data relating to braille writing has resulted in a lack of understanding of the writing process and associated concept development, and often led to inappropriate tools and strategies being used (a speech based note-taker like the Braille’n Speak Scholar being used as a first tool for braille literacy is just one common example). One of the few research projects focussing on braille writing has been the Emerging Braille Literacy Research Project in British Columbia Canada, conducted over 1998 – 2000, by Cay Holbrook (UBC), Anne Wadsworth (PRCVI) and Elaine Ferguson (SET-BC). The project involved 16 primary aged students, their teachers and parents over a three year period and was aimed at developing objective data to guide their technology policies for early braille literacy. 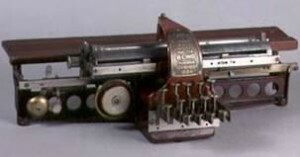 The results indicated that the use of the Mountbatten Brailler had very positive effects on braille reading and writing skills in addition to enhanced opportunities for inclusion (full results can be found at http://www.setbc.org/projects/braille_lit/default.html). And it is very exciting that a new project focussing on braille reading and writing in Texas is just getting underway, called the Written Communication Technology for Early Braille Readers Project. This will be a collaborative project between Texas School for the Blind and Visually Impaired (TSBVI) and selected regional Education Service Centers throughout Texas. The purpose of this project is to increase the quantity and quality of literacy experiences for early braille readers in general education classes in the state of Texas and will be administered by the TSBVI Outreach staff. Students who will graduate in 2015 will be living in a world that we can only imagine. But we can be certain of some things, like the fact that they will have to be literate and that technology will play a much larger role in their lives than it does in ours. The VI education community simply has to come to grips with technology, including the costs, training and implementation of new products and strategies. In 1992 Alan Koenig called for the definition of literacy to be expanded to include the technology skills needed by blind and VI students to compete. In 1999, an AFB survey found that 68% of students in US primary and secondary education had never received an assistive technology evaluation. Do we know if or how that situation has changed? There is an urgent need to integrate assistive technology skills and tools into the Literacy curriculum, and a new initiative by Donna McNear is attempting to do just that. Titled A Framework for Braille Literacy this seminar based program offers instructions, methodologies and resources to help VI teachers understand the role of assistive technology and its importance to literacy for VI students (full description can be found at http://www.gettingintouchwithliteracy.org/presentations/framebrl.html). I’d like to finish with two points. The first is that not all technology is so-called ‘high’ technology involving electronics and computers. The slate and stylus is also technology, and with only a very few exceptions has also been allowed to stagnate. Imagine what braille writing options would exist if innovation of the slate and stylus had kept pace with innovations in computer technology. The Jot-a-Dot (available 2004) pictured at right is an example of a new low-tech braille writing device and symbolic of what can be achieved through innovation. Secondly, I hope I have been able to demonstrate that what is important here is not any one product. What is important is the recognition of the role of innovation and how it is driven by consumer demand, and ultimately by the expectations we have for our VI students. By 2015, there is every chance that braille will have become fully digital, with full page refreshable braille displays of all shapes and sizes. Our policies, attitudes and practices of today will determine if that prediction becomes a reality or not. A beginning braille learner of today will be using technology all his or her life, and they will begin that journey with the simple act of writing braille. We have placed this article online again (it used to hang on mountbattenbrailler.com website years ago) just because it is one of the last days of 2015 today. The reality in 2015 is basically intact with the Author’s expectations back from 12 years ago. Some hopes as for the new equipment to be ubiquitous did not materialise. And we believe that the future will bring more development (working on it here). 1. It is true, that in the digital age literacy is even more important; we used to first see that a person is blind before communicating with him or her – now we quite often communicate first, meet the person later – the “first impression” factor is still there but changed very much. 2. “Coolness” factor is even more important now; is Braille going to be cool finally? 3. Smart devices make the sighted children interact with technology starting very early in their life (when 12 months old or may be earlier?) – how about the blind children? 4. The Jot-a-Dot Braille Writer is not available any more (named the “innovative low-tech” by the Author). A pity. 5. Mechanical Braillers are still delivered “free” to young students. The original links in the article don’t work any more. We are sorry for the inconvenience.